My love affair with yoga was definitely not love at first sight. It began like most relationships- a physical attraction. I was 6 months pregnant and had just gone through a painful "breakup" with my spinning bike due to sciatic pain. I needed to find something else to keep me healthy. Luckily, a great teacher introduced me to yoga and kept me motivated to keep coming back. For a few years my practice was purely physical. It kept me healthy and helped me sustain a 50 lb weight loss after having a baby. Currently, it is the about the only form of exercise I can do due to degenerative back pain and the only way I find pain relief. Gradually, I began to fall in love with how yoga made me feel not just physically but emotionally. It has taught me to be compassionate to myself, my family, and my community. On the deepest level, yoga teaches me to honor the divine in myself and in others. 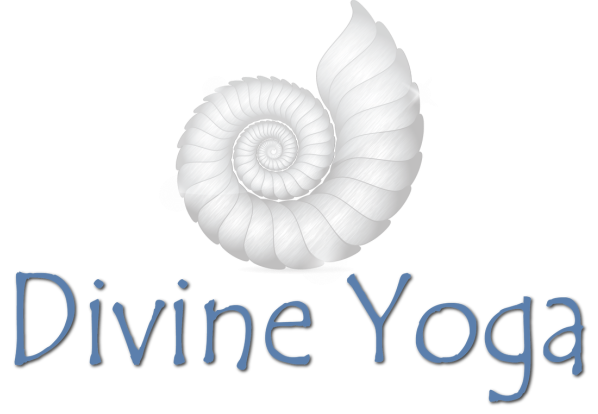 I guess you could say that as the owner of Divine Yoga, I am now "head over heels" in love with yoga! It keeps me healthy, happy, and humble! I am truly grateful for the gift of yoga in my life and I love to share it with everyone! Off the mat, I find happiness as a mom of two pretty amazing kiddos, traveling the world with my husband, and enjoying the divine in nature. I visit my family in Southeast Idaho and love the Lava Hot Springs Pools. Debi found yoga in 2002 when she was dragged to a practice by her lovely and persistent sister who for years had promised it would "change her life"....turns out sis was right, and she hasn't gone a day since without finding her way to her mat. 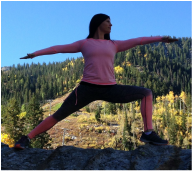 Originally from Colorado, she certified through Inner Connections Whole Life Center in the beautiful Rocky Mountains and has learned from some of the most influential yoga souls in the world. She finds the juxtaposition of the physiological and the spiritual intriguing and integrates knowledge from her education in both Psychology and Neuroscience into her own practice and her teaching. She thrives on the dynamic energy brought to the mat by each of her students and hopes to reciprocate by leaving each one with a feeling of strength and peace. ​Yoga is a way for me to connect to my true self, to calm my crazy mind, and to become stronger without injury. As a lifetime runner, triathlete, and overall crazy fitness person, yoga has created a balance in me physically and emotionally. I love vinyasa flow classes, but equally enjoy restorative or gentle yoga. As long as the breath and awareness are involved I see the benefits of yoga in my life in every aspect and I love to share this with others as I teach them to incorporate yoga as a life practice. 500 Hour Certified. The human body, its potential, perceived limits and capabilities, have fascinated and inspired me. The more I have practiced and taught yoga, the more I have found it to be a fantastic tool in reaching that potential, pushing those limits and recognizing capabilities in myself and my students. As a graduate in Exercise Science, I first related to the physical benefits of yoga but now I recognize more and more of the emotional and mental aspects that contribute to overall wellness. This has been key in preparation for the birth of my daughter and helps me now as I navigate motherhood and life. My hope is to bring my experiences and training as an offering to my students as they navigate their own paths. RYT 200 and applicant for PRYT (Prenatal Registered Yoga Teacher). Through out my 20's I suffered from severe migraines 2-4 days a week and decided to see if yoga might be able to help. I struggled physically through that first class, and it took a lot to get me into a second one. I started going to classes once a week and slowly, as I gained shoulder strength, and worked out the tension I held in my neck, I began to get fewer migraines, as well as finding a mental stillness I'd never known before. I found that feeling wasn't something that was limited to the time I spent on my mat, I was able to carry that with me all the time, and I was completely hooked. About 5 years into my yoga journey I realized that I had never before been such a complete version of myself, and if there was any potential for me to bring that feeling to even one other person, I wanted to follow that path. I completed a teacher training program, and fell even deeper in love with yoga as I added more sanskrit, philosophy, and alignment to my own practice.Today I love that I am able to teach and bring this practice to others! I love the challenge of structuring classes for the specific needs of my clients as well as seeing the physical and mental transformation in them. I was born with a congenital heart condition and developed spinal scoliosis during childhood. The heart condition limited my ability to exercise and the scoliosis created a great deal of back pain. Growing up, I often felt self-conscious because I couldn’t physically do the things that other children could do. When I found yoga in high school, it provided me with a safe way to exercise and it helped reduce the pain in my back. As the years went by, I found that yoga helped me heal emotionally as well as physically. I began coming to my mat for the peace it brought me. For me, yoga is a place of acceptance. When we practice yoga, we get to let go of whatever we think we’re supposed to be or do and accept ourselves as we are in the moment. Yoga helped me to accept and love myself exactly as I am. My goal as an instructor is to assist my students in finding their own paths to self-love. I am a certified 200 hour instructor. I am furthering my studies with Rod Stryker who has founded Para Yoga, a scientific approach to teaching Yoga poses. It integrates breath patterns with movement in and out of asanas or poses. I am excited when I get the chance to share what I have learned from my studies as a yogi. I feel that passing along that knowledge and passion helps me understand what Yoga is all about and understand myself on a deeper level. My goal with every class I teach is to offer a fun physical exercise but also leave the student feeling that they are amazing, courageous and perfect as they are in this moment! Anyone and everyone is welcome to a class I offer.